Looking for megayacht luxury and style in a smaller package? 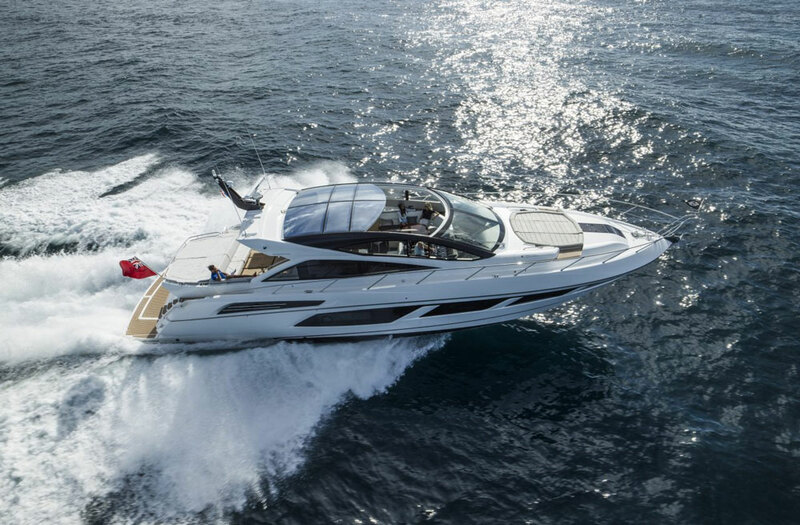 While there’s not a magic overall length required to classify a boat as a megayacht, few would place a 52-footer in the same "mega" category with boats such as the Ocean Alexander 120 or Sunseeker 101 Sport Yacht. 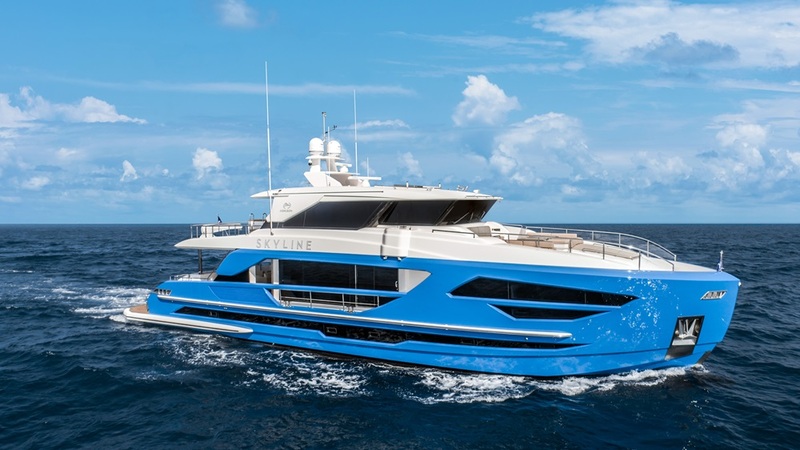 But design and build a 52-foot boat with the same beam as those 100-plus footers, and the lines between motoryacht and megayacht begin to blur. The Horizon PC52 has spaces –inside and out– that rival those of megayachts, but in a much smaller package. 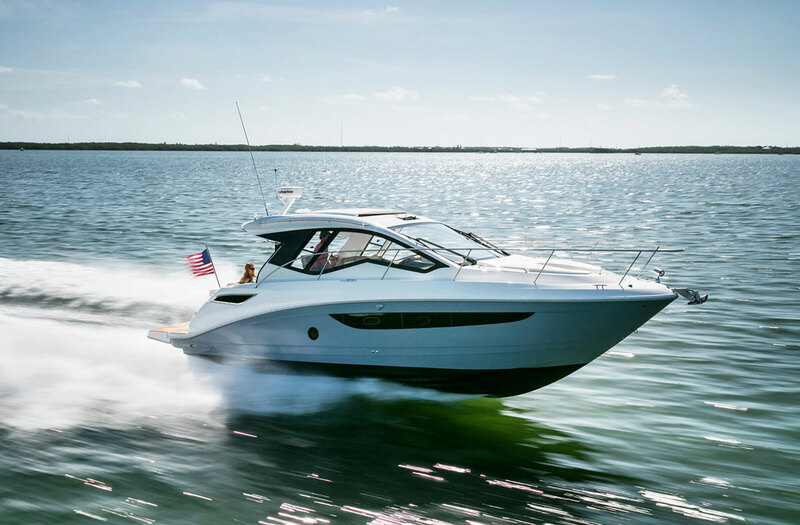 The 52-footer I am referring to is the Horizon Yachts PC52, a new power cat that officially launched at this year’s Fort Lauderdale International Boat Show. And from the minute I stepped aboard, I had to keep reminding myself that I wasn’t on one of the 130-footers berthed right across the dock. But can a 52-foot power cat really provide a megayacht experience? Based in Taiwan, Horizon Yachts is a semi-custom builder of all sorts of motor yachts ranging from power cats to sport fish yachts and endurance cruisers to 130-plus foot megayachts. Founded in 1987, the company builds innovative and well-constructed yachts with an eye for detail and design. 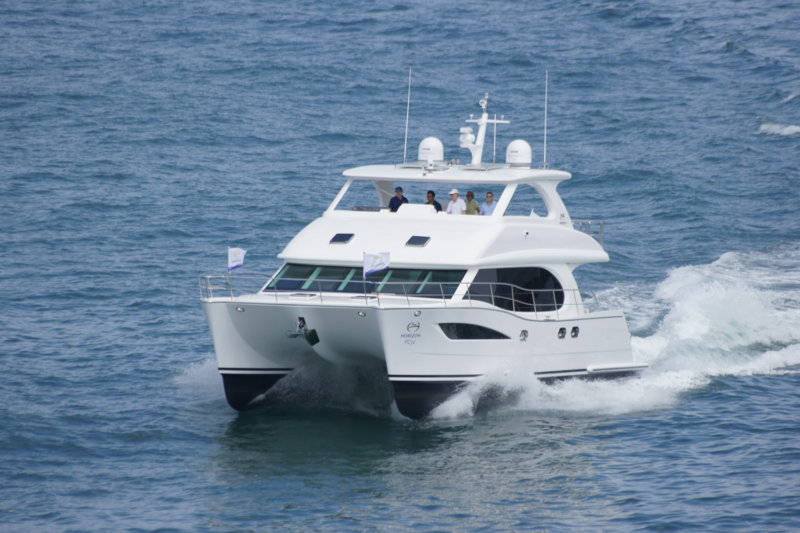 While it is probably best known for its larger motor and megayacht models, its foray into the power cat world has been met with plenty of orders. In fact, scuttlebutt on the docks was that the PC52 had four solid orders before it was even officially launched. 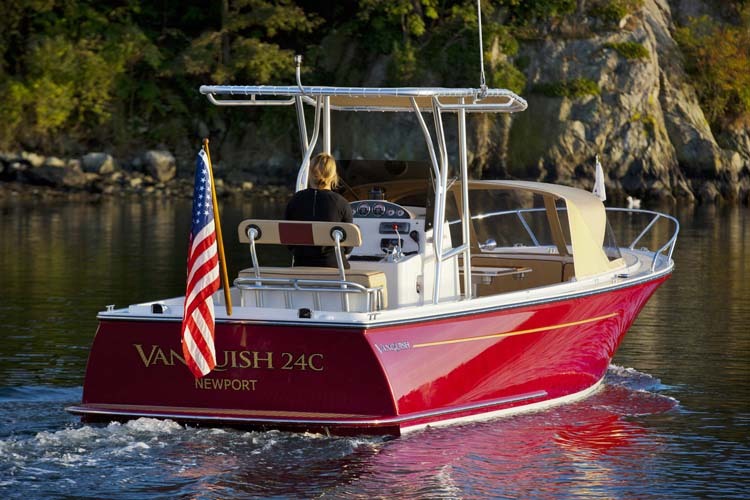 The Horizon PC52 has an aggressive stance and a not-too-shabby 22-knot top end. If you’re not a fan of power cat designs, well, the PC52 is not going to do anything extraordinary to win you over. 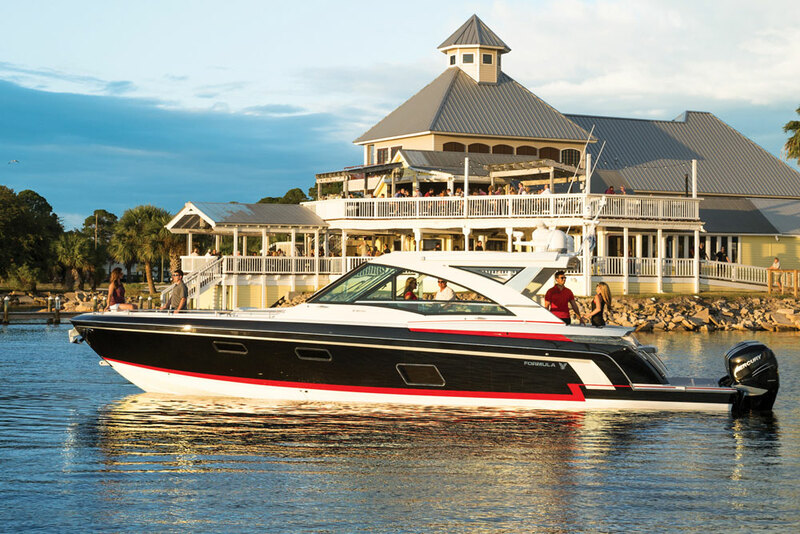 While Horizon has taken a plethora of design cues from its larger, sleeker yachts to enhance the PC52’s looks, there’s no mistaking this boat for anything but a catamaran. But that doesn’t mean it’s an unattractive design. In fact, the PC52 looks very much like a curvy, sleek, sportfish yacht from the side, and a contemporary Mediterranean-inspired flybridge yacht from the stern. The PC52 is a chameleon of sorts, and in a good way. 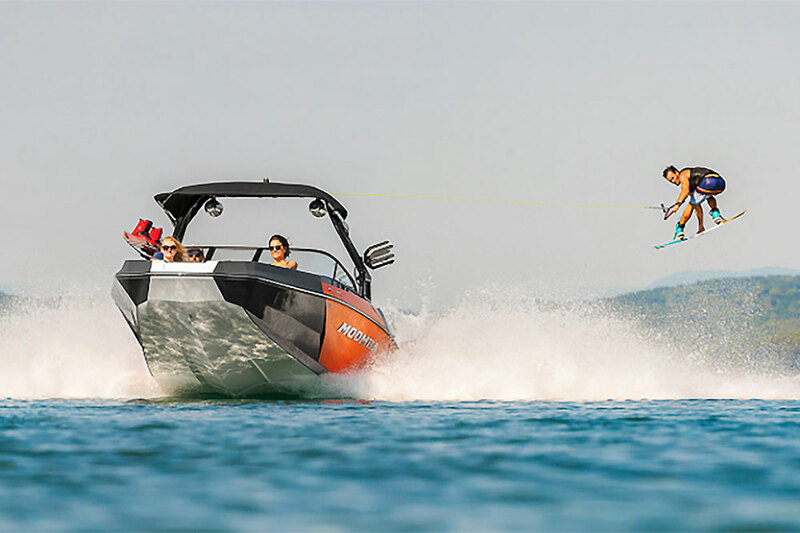 Standard power for the PC52 is two Cummins QSB 6.7 550-horsepower turbo diesel engines, which provides a reported 22-knot top end with a 16- to 17-knot cruise, and an ultra-efficient, eight-knot “slow cruise.” While the PC52’s big sister–the PC60–has ZF’s joystick steering system, it’s absent on the 52. I’ve been told that a joystick setup for the PC52 is “in the works,” but the current twin engine and standard bow thruster setup should make close-quarters handling quite easy. The main deck layout on the PC52 includes a huge, nearly full-width aft cockpit. Boarding the PC52 is easiest at the stern, via either of two small swim platforms set into the aft portion of each hull. One downside to the twin hulls is that it negates having a huge swim platform back here, and that means storing (and launching) tenders and other water toys on the flybdridge. From each of those swim platforms rises a set of teak-capped steps that lead into the aft cockpit. To give you an idea of how big the nearly full-width aft cockpit is on the PC52, this big cat’s beam is 22 feet. The Ocean Alexander 120 is almost 70 feet longer than the PC52, but its beam is only three feet wider. That means seating and entertaining 10 to 12 people for dinner back here is easy. There’s also a nice, wide, cushioned settee integrated into the transom. 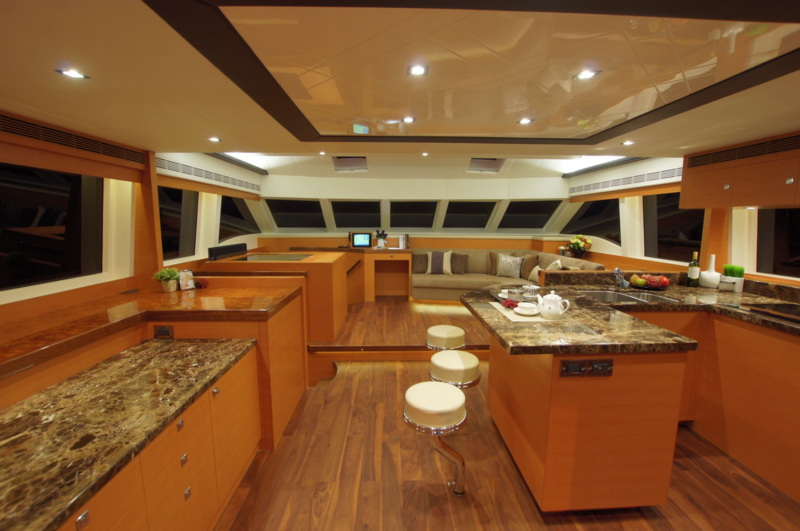 The main salon on the PC52 is as large as some 100-footers. Access to the colossally huge flybridge is up a set of nine wide teak steps from the port side of the aft cockpit. 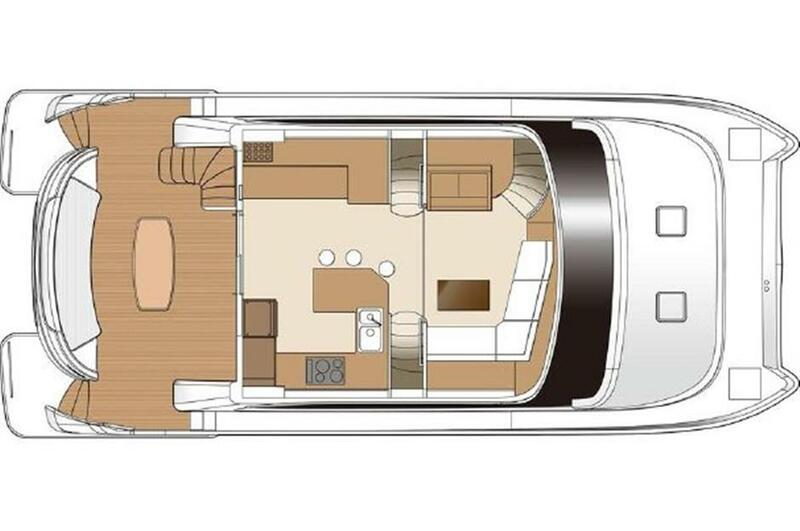 On the flybridge to port is an L-shaped settee that wraps around a teak coffee table that’s also nice and close to the centerline helm station. To starboard of the helm is an open, forward-facing convertible lounger that can accommodate two to three people and function as either a sunpad or bench, by inserting (or removing) a filler panel and cushion. Behind it is a permanent table setup with four floor-mounted barstools and an adjacent wet bar with food prep area. The aft area of the flybridge is uncovered and the place for sun worship, but it’s also the best place for dinghy stowage. The whole area is big enough to comfortably seat at least a dozen people—more if you provide your own lounge chairs. 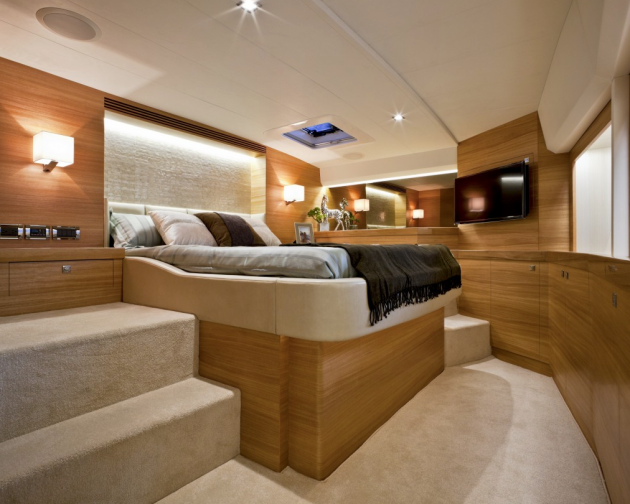 The master stateroom on the PC52 is a refuge away from it all. Farther forward in the main salon is an expansive C-shaped settee that is as large and comfy as many sectional couches you’d find in a modern home. It's set around a beautifully varnished teak and mahogany coffee table with gorgeous light-wood inlays. Across from this area to port is a bump-out for a large flat-screen television that raises and lowers electrically. It’s there when you need it, stowed when you don’t. The only quibble I had about the entire salon area was a lack of sea fiddles on the galley countertops and other flat spaces. There are three staterooms set into the two hulls: two guest staterooms to port (one forward, one aft), and the master to starboard. The two guest staterooms share a common, enclosed shower/head. 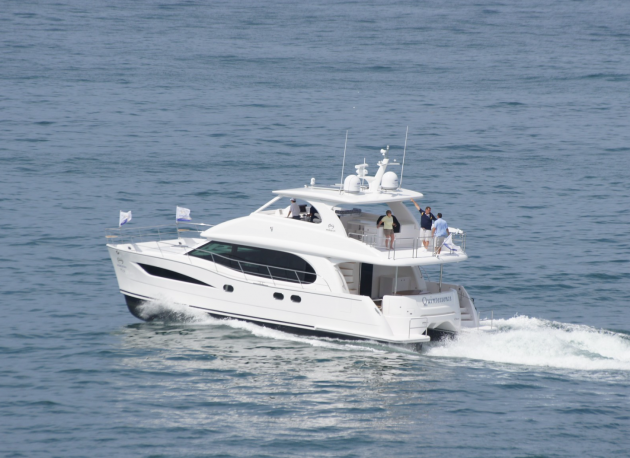 The starboard hull is dedicated solely to the owner’s accommodations. The master stateroom is situated in the bow of the starboard hull, while a large enclosed shower/head is situated aft. In between is a dressing area equipped with lots of stowage cabinetry and lockers. All staterooms are nicely appointed and lighted with lot of rich woodwork and upholstery. I liked that each area had its own air conditioning controls and portlights to let in the outside light. So while you can’t land a helicopter on the Horizon PC 52, it does provide the feel of a luxurious yacht that's twice or nearly three times its size. The fact that this power cat isn’t 100 feet long is probably the biggest part of its charm. 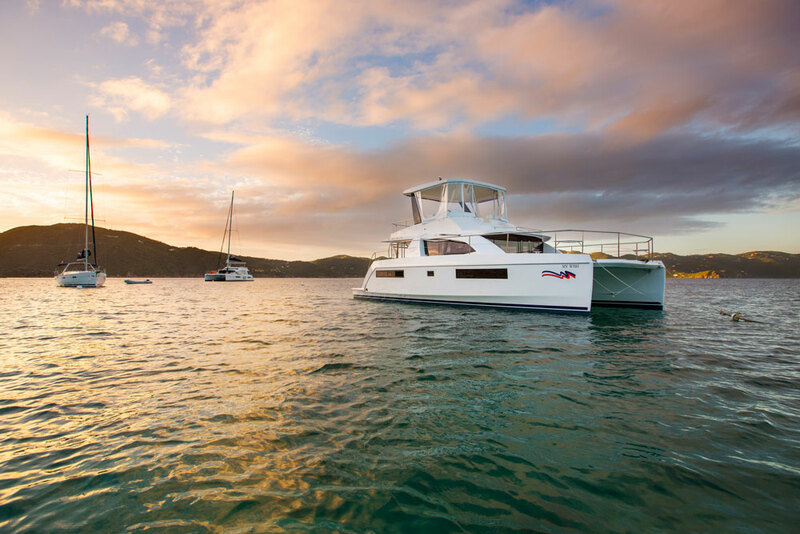 Other Choices: If 52 is still a bit big for your needs, you might like the Fountaine Pajot Cumberland 47 LC catamaran motoryacht. Going in the other direction, the larger Sunreef 60 may be of interest. 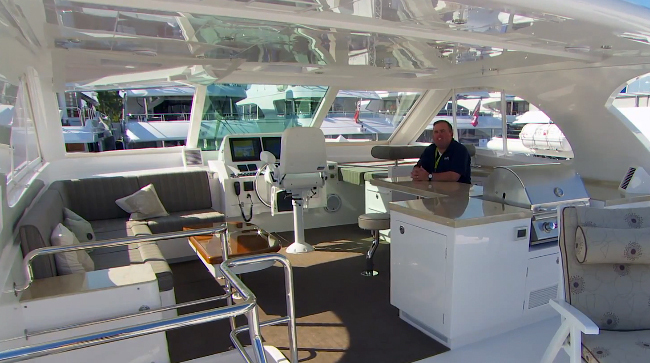 For more information, watch our Horizon PC52 Power Catamaran: Quick Video Tour or visit Horizon Yachts.